With careful planning, online communities can provide market researchers with a truer picture of how patients really feel about their illnesses and treatments, enabling the development of programmes that can better meet their needs. Over the last few years, the world of market research has been buzzing with terms such as ‘online networks’, ‘engagement’ and ‘devices’, as we all try to harness the power of social media and smartphones for the benefit of pharmaceutical market research. Recently the buzz has been around ‘communities’ and as market researchers – on the client and vendor side alike – we are excited by the prospect of a more cost effective and easier way to connect a group of patients or physicians within an online community, accessible via computers or mobile devices. But are ‘cost-effectiveness’ and ‘ease of access’ really the main reasons why market researchers should consider online communities when planning research? Not in our opinion. In our experience, the biggest pay-back comes from the fact that with carefully constructed approaches, communities provide us with much richer emotional insights than our best moderators could hope to extract in face-to-face research. This is extremely important. In pharmaceutical market research, many patients might feel embarrased by their disease and disappointed by their treatments and their doctor. Yet they often feel compelled to show their most optimistic side when speaking to their families, carers, their doctor or a moderator in a market research setting. They are constrained by the brave face they feel they must put on for those around them, especially in face-to-face interactions. Physicians may feel equally constrained to remain professional, serious and not to voice any opinions that might be too extreme or controversial in a face-to-face setting. They too have a role to play for those around them. As market researchers we are constantly trying to uncover the true, hidden feelings and experiences of target audiences. Over the years we have devised many techniques to help patients and physicians let down their guard. Yet even the best moderators sometimes struggle to break down these barriers completely. Online communities are perfect for trying to solve this probem, because in a private online or mobile site with anonymous screen names and avatars, patients and physicians have the freedom to be themselves. They can distance themselves from the role they need to play every day in their professional and personal lives, and share real pain, true feelings and honest opinions. a) The opportunity to keep sharing online keeps patients and physicians involved. Once these two groups start to share their real feelings and opinions, they don’t get fatigued or bored as they might in a face-to-face interview. Instead, they want to share more. It is the participants who end up asking the moderators for new exercises and additional video uploads – to the extent that it becomes much harder to wind down a community than it is to start and maintain one. b) Positive comments from moderators, and using ‘likes’, ‘badges’ and similar non-financial rewards, also helps to keep participants active. c) Tools can also keep participation levels high. For example, by asking participants to record video responses, keep online diaries, or choose pictures to represent their emotions, patients become very participatory in their desire to share what it is like to live with their disease or help us to co-design solutions. Some patients have even provided as much as 50 per cent over and above what they had been asked to do. Are online communities accessible for all? Online communities are not just for the young and tech-savvy. With careful thought and planning they can be used for most demographics. For example, elderly patients can take part and, even if they find it difficult to engage themselves, they can still engage with and via their carers. Plus, people who have diseases that render them quite isolated can provide the richest insights when they become part of a community that makes them feel less isolated. We have been surprised by the participation of groups that are not normally associated with ‘hi tech’. 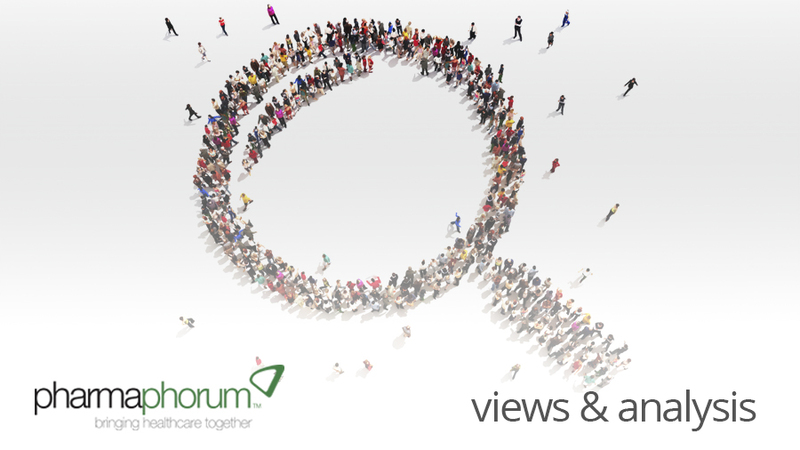 What research objectives can a community help pharma companies address? So will this tool really get beneath the surface of the insights? Yes. While an online community will not follow as strict a structure as a traditional discussion guide might, its creativity, flexibility and continuous in-depth probing make it better suited to explore certain research objectives, such as the emotional drivers and barriers, patient journeys and unmet needs on both the patient and physician side. Communities may also allow pharmaceutical companies to gain deeper insights over the long-run, such as helping to track a brand’s performance after launch and spotting potential barriers earlier. Last, but not least, we should not ignore the potential of online communities to provide an alternative to expensive, lengthy ethnographies, as patients share their experiences via videos in the moment those experiences happen – just as if an ethnographer were there. Ease of access and cost effectiveness make online and mobile community platforms important new tools for pharma companies and pharma market researchers. However, the greatest benefit by far lies in the richer, deeper emotional insights that can be gained via the anonymous setting, and the engagement with other participants that these communities provide for physicians and patients alike. So, get connected. Create a community. Engage the community. And generate a deeper package of insights. 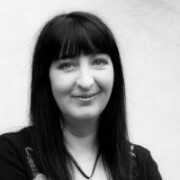 Anna Dnes is associate director at THE PLANNING SHOP international, specialising in global qualitative market research. With a background in consulting, she has over six years’ experience in pharmaceutical market research. Anna has an active interest in harnessing digital technology for market research, and has led the digital new product development team for the past four years.